Most of the Chrome users stick with their default skin which looks very simple and pale, but with great themes from the Chrome Web Store you can spice up the look of your browser and have a good browsing experience. 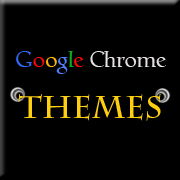 Themes that are found in the the Chrome Web Store are either created by Google or the Artists. By looking at all the themes, you would definitely go for the ones created by Google themselves as it looks more elegant than the ones created by the Artists. Although there are about only 2 pages of themes by Google, there are about 7 pages to choose from the Artists. I might have been harsh by saying the themes by the Artists are not as good as Google’s, but there are great colourful themes which might attract you more ! If you are into colours, themes by the Artist’s are for you and if you are into simple and elegant types, Google is there to save you. You do not have to get scared to think that the themes that are designed by the Artist’s are not safe. All the themes are verified by Google and therefore is completely safe to use. Nice Collection of Themes… Thanks for Sharing! Nice themes! I like the first one most. The first one looks elegant. That's my favourite theme too ! Interesting! I love using chrome 🙂 will definitely try it! You welcome zahin ! Hope you like it ! Good collection buddy! I like Android one theme wish u get it listed over here!